At this point I would like to send my sincere gratitude to Boefje and Springs in particular. They had asked us to schedule several times throughout the season, but since Elguapo is currently in Italy and cyrax was in the hospital for a while, that never really happened. Then last night we were already hoping to play (and Boefje patiently waited until 23:30), but our 4th didn't show up. Hadn't it been for today's game, it would have been very fair to award Boefje with a WO against us. Following this, we were hoping to play today, but one of our members had to leave to work at 21:00, so we had to start playing early. Despite not being warmed up or having best lineup, springs tried hard to spontaneously make the game happen. Sportsmanship at its' best. Soo... thanks to Boefje/springs for playing even though the conditions really sucked for them. You'll get your deserved revenge in playoffs. No doubt this game was make-it-or-break-it for us. It was very important that we at least got the chance to see if we have what it takes to go to the playoffs. I would also like to thank B for putting in the effort to make this happen, and we'll be sure to setup our next game so that both teams have mutually agreed to a time. Since we are playing again soon in semi-finals, I don't feel like commenting on this game that much. I consider our next game to be the real one! 3clans from div2 up to div1 next season? I don't think we have the consistency for div1. We've played a total of one prac map this season and as you can see from the results, they are quite varied. ^Well one thing you have to remember is that some players have already experienced play in the top division. Perhaps it just turned out that they weren't up to competing with the uberleet0rs. Or maybe they even won some titles but are now rusty and not playing at that level anymore. Quite a few players from [O] and Boefje have played div1 in the past so it's not like they haven't given it a shot. I've played several seasons in div1 4+ years ago and the truth is I'm simply not at that level anymore. 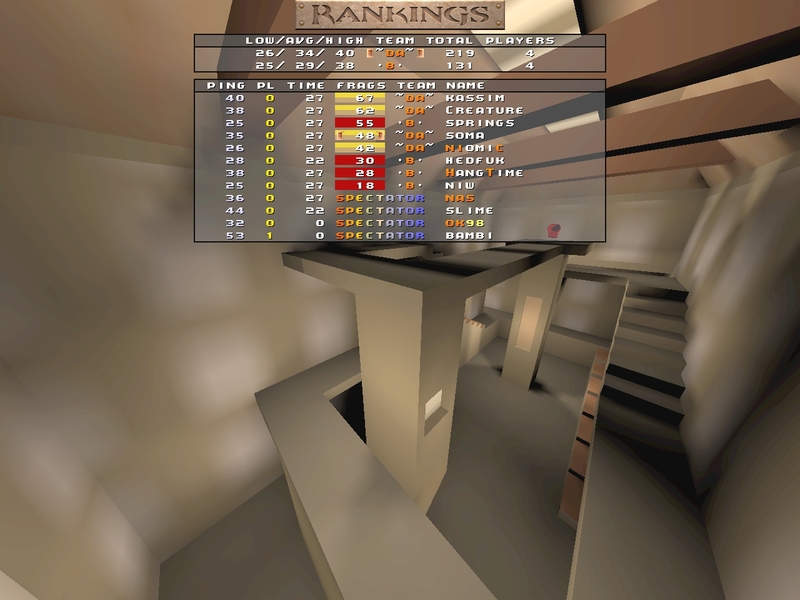 At the time I probably lost more games than I won but I still wanted to play there. Nowadays fact is I probably wouldn't look out of place in div3 judging by my performance in mix games. I for one think its rather nice to meet the same clans many times to build up some nice rivalry :). 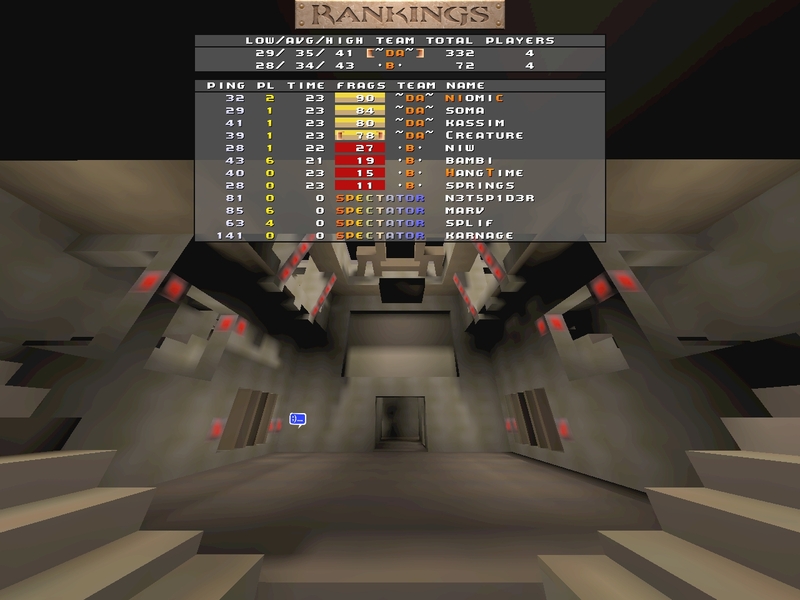 There are some clans i have enjoyed playing versus a lot during the seasons of nqr, eql and ladders: Demolition crew, always close games and decider on dm3 :D. Baconmen, same here close games and nice opponents. Dybbuk, not active anymore but they beat my clan several times until we finally won during eql3 or 4. Psychohaloons crew, played them a lot during the nqr ladder and also a few league games. Osams, this clan has been up and down in the division system and ended up in my division now and then. Always good games vs them.